Kenji Ito is a freelance composer of video game scores and vocal music. Born in Tokyo on July 5, 1968, Ito showed a keen interest in learning to play the piano from the age of four and subsequently decided to learn the alto saxophone and clarinet at junior school. He was treated to a healthy dose of classical training during his youth and also enjoyed listening to a range of music, particularly the relaxing compositions of Paul Mauriat. Given the strong emphasis he placed on music in his early childhood, it was no wonder that, at ten years of age, he became curious about the possibilities of composition and the synthesizers that would allow him to practise this. Although Ito quickly settled on wanting to break into the music industry following these experiences, it was not until after he graduated university that he made his breakthrough. Following some advice given by his tutor on applying for jobs in the field, he decided to pursue a role in the video game industry. He applied to join the sound team of several famous developers, including Square despite lacking interest in RPGs. The company, looking to expand their one-man composer team, were nevertheless eager to take on the composer after appreciating his demos. 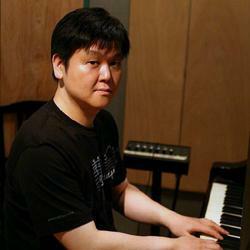 Ito debuted the company composing approximately half the score for Akitoshi Kawazu’s SaGa 2: The Treasure Legend (aka Final Fantasy Legend II). He complemented the game’s scenes with a range of music, spanning rocking battle themes to reflective ending themes, while channelling a different sort of lyricism to his supervisor Nobuo Uematsu. Due to the notorious limitations of the Game Boy, Ito needed to take a straightforward approach throughout and placed a strong focus on melody. The following year, the composer created the entire score for the initial instalment of Square’s Mana franchise, Seiken Densetsu (aka Final Fantasy Adventure). He complemented Koichi Ishii’s vision for the game by taking a spiritually and emotionally guided approach to composition. Among his offerings were staple tracks such as enchanting opening theme “Rising Sun”, the overworld music “Endless Battlefield”, and the quirky “Dwarves’ Theme”, all of which were incorporated into the game’s soundtrack release and orchestral arranged album. Also a sound designer for these titles, Ito carefully using the 8-bit sound chip of the Game Boy to offer evocative sounds. 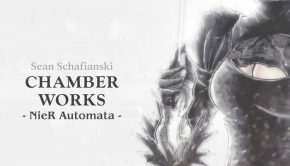 Through these titles, Ito developed a long-standing connection to two of Square’s most inspired creators and secured his return on subsequent titles. In subsequent years, Ito composed a trilogy of scores for the Super Nintendo’s Romancing SaGa trilogy. Liberated by the more advanced technology of the console, he was able to create a synth orchestral score for 1992’s Romancing SaGa featuring some of the richest stylings of the era. His offerings spanned rich character anthems, haunting dungeon ambience, adrenaline-pumping battle tracks, and Latin jazz experiments. Following this success, he produced a more dark and cinematic soundtrack that supported Kawazu’s vision for the sequel. The following year, he reconciled the series’ music with a diverse three disc score for 1995’s Romancing SaGa 3. While these games were not released overseas, their scores were crucial for developing Square’s reputation in Japan. Each of the series’ games also spawned three critically acclaimed arranged albums crafted by external arrangers — the French-themed ’La Romance’, the lushly orchestrated ’Eternal Romance’, and the soothing classically-styled ’Windy Tale’. During the development of these titles, Ito also produced sound effects for Final Fantasy IV, Final Fantasy V, and Secret of Mana. Ito closed his time with the console producing a short upbeat jazz score for the Satellaview’s Love is Balance: Battle of Lovers. Opening the PlayStation era with a techno composition for Tobal No. 1, he demonstrated his successful approach to RPG scoring once again on 1997’s SaGa Frontier. He created specific pieces to portray the unique quests of the seven protagonists and exploited the opportunities of the PlayStation. While the score was a functional success, it was criticised by some for being too conservative and straightforward in its approach. He was subsequently replaced by ambitious newcomers Masashi Hamauzu on SaGa Frontier II and Yoko Shimomura on Legend of Mana. His next responsibilities were the main themes of Chocobo’s Mysterious Dungeon 2 and some bombastic Final Fantasy arrangements on Chocobo Racing. While hardly glamorous assignments, he embraced streaming audio for the first time on these titles, recording the former with full orchestra and creating his first vocal theme for the latter. Taking an increasing subsidiary role at the expanded sound team of Square, he was subsequently assigned to produce some hard rock compositions for the sports game Gekikuukan Pro Baseball: The End of the Century. Bringing his contributions to the company around full circle, he also created a modest chiptune score for the WonderSwan Color RPG Wild Card. In January 2001, Ito left Square to pursue broader roles as a freelancer, inspired by the precedent set by Yasunori Mitsuda. Soon after leaving, Ito was given the responsibility of creating and implementing the music of the Dreamcast’s Culdcept Second. Channelling acoustic and world music approaches throughout, he created two stage themes and a battle theme to complement each of the game’s various worlds. The composer subsequently composed subtle orchestral scores for two expansions of the Enix-developed MMORPG Cross Gate. Also eager to work on group productions, he joined fellow Square veterans Yoshitaka Hirota and Yasunori Mitsuda on Shadow Hearts: Covenant, even creating a three-way final battle theme with them. 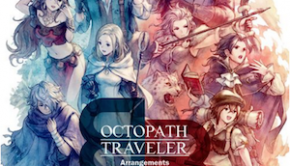 The artist also contributed to Monster Kingdom: Jewel Summoner and worked on the arranged albums for Dark Cloud 2, Phantasy Star Online, Rogue Galaxy, and Shadow Hearts; in most cases, he focused on inspiring relaxation with small ensemble interludes. Also continuing to continue exploring vocal music, he reunited with Chocobo Racing singer Hiromi Ohta on a new single and penned several new songs for Muneyuki Sato. Further developing his reputation, he produced soft ballad arrangements for albums by Kyoko Fujimoto and Etsuko Kitani. Between such fruitful roles, Ito worked closely with the development teams of Square Enix on two remakes. For the Game Boy Advance’s Sword of Mana, Ito completely rearranged the score for Seiken Densetsu in a traditional manner and also added a few new compositions. For the game’s album release, he also included several reflective piano performances and an orchestration of “Rising Sun”. The composer took an expansive yet nostalgic approach on the PlayStation 2’s Romancing SaGa. He transformed various Super Nintendo favourites with rich orchestrations and novel experiments, while composing numerous new tracks and directing Tsuyoshi Sekito’s rock arrangements. At the time of its release, it was Ito’s most creative, expansive, and convincingly implemented score. In his first ever concert appearance, he performed piano adaptations of the score at The Black Mages’ concerts, before attending a symphonic adaptation at Press Start. Between a guest contribution on Hanjuku Hero 4, Ito subsequently offered a handful of characteristically styled compositions for Children of Mana. Proceeding to produce the larger score for Dawn of Mana, he revisited familiar territory with lyrical organic compositions to depict a tree of life being corrupted by darkness. In 2005, Ito offered his services as a studio musician to Harmonics International in order to pursue further recording and concert productions. Inspired by the warm reception of his first concert, he wrote the music for the original piano album Everlasting Memories; he focused on developing storytelling melodies that everyone could related to and dedicated the release to his late cousin. Following such roles, he spread his name in the vocal industry with brief but memorable collaborators with Manami Kiyota on Land of Beginning, Akiko Shikata on Istoria ~Musa~, and Duca on Message. At request of Team Entertainment, the artist produced his own vocal mini-album of in 2008; he carefully developed the concept of Dream Temple with his rich writing and felt a spiritual connection to Yuduki during the recording sessions. In other roles, he has organised a succession of easy listening concerts studio gentle echo and Harmonics International, featuring special guests such as Masahiro Sakurai. In addition, he has contributed music to two dramatic plays, Pures’ Our Endless Night and Valentine Kiss, as well as R:Mix’s Maou Kourin and Maoutensyou, at the request of Square Enix alumni. Between such roles, Ito wrote the score for Culdcept Saga alongside members of Joe Down Studio. 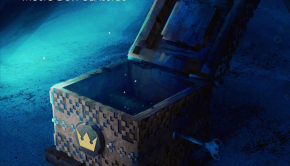 Described “bigger and better than its predecessor’, Ito contributed an astonishing variety of acoustic, electronic, and world music to portray the game’s numerous worlds. He adapted music from the game for a live performance at the historic Extra: Hyper Game Music Event 2007; inspired by the reception of Romancing SaGa’s “Passionate Rhythm”, he decided to channel a Latin influence at the event alongside vocalist Kyoko Kishikawa. In another novel scoring production, he co-composed the MMORPG Concerto Gate with Hiroki Kikuta. While Ito appreciates his long-standing friendship with Kikuta, he focused on asserting his own orchestral sound on the production and didn’t listen to his partner’s tracks. The following year, he developing a suspenseful acoustic score for the DS visual novel Lux-Pain with Yasuyuki Suzuki, before creating a blend of dissonant orchestrations and dark soundscapes for the horror game Okami Kakushi. On several of these productions, he sourced sizeable collections of stock music that he had accumulated since leaving Square, submitting compositions that fitted the specifications. Ito has also scored several surprising productions in recent years. In 2007, he created his first score for an anime production, The Promise I Made Over the Blue Sky. He found the role quite demanding, especially since the sound director was exacting throughout, but enjoyed the novel experience nevertheless. He elaborated on his inspirations for the anime by producing a piano arranged album alongside several of his favourite musicians. Keeping up with the digital revolution, he also offered his services for the mobile phones games Hero Must Die and Bullets, Demons, and Girls, as well as the browser title Ein-Herjar. He didn’t deviate much from his typical melody-driven approach from these titles, but still carefully arranged the music to accommodate the limitations of their media format. The composer has also had a long-running guest involvement in Bemani productions, thanks to a producer enjoying his SaGa works. He has produced pop-flavoured songs for two titles in the pop’n music and later reflected his experience as a rock arranger on the GuitarFreaks line. In other unusual works, he arranged the commercial music for Mabinogi and produced punchy orchestrations of music from Star Fox, Kid Icarus, and Fire Emblem for Super Smash Bros. Brawl. In 2009, Ito returned to Square Enix to DS arrange the remake of his debut project, SaGa 2: The Treasure Legend. He adhered closely to the original while offering richer timbres and additional compositions. Despite not being involved in the original game, he also brought the music for the deviant SaGa 3: The Ruler of Time and Space closer in line with the rest of the series with some orchestral overtures and cohesive arrangements. In further prominent roles, he offered orchestral main themes for two sequels — offering homage to the late Kentaro Haneda on Wizardry: Renaissance and a compelling introduction to the WiiWare’s Pokémon Mystery Dungeon. His talents as a vocal composer have also been requested on several titles, spanning Dungeon Fighter Online’s “Level Infinity” with Akiko Hasegawa, CroXino’s “Beyond the Decision” with Mariya Ise, Knight Online XXOSS’s “Under the Castle” with Haruka Shimotsuki, and, as a founding member of doujin circle DystopiaGround, Hyperdimension Neptunia’s “Meteor of Bifrost” with nao. He also made a special contribution to Ar tonelico Qoga, nurturing Azumi Inoue’s vocals with rich strings and guitar riffs, between arranging the themes song “Dig for the Glory” and “Starlight Melodies” for a TBS radio program. Ito continues to pursue live performances through a variety of performance groups. At the start of 2010, Ito formed the jazz group Piece of Wonder with three other instrumentalists. Debuting at the latest Gentle Echo Meeting, he went on to make high-profile live appearances with the group as part of mmclub and Dog Ear Records’ events at the Shibuya Music Duo. Despite finding such experiences nerve-racking, he enjoyed reaching out to listeners on the live stage. Later that year, he set up two other units — forming the ITOKENS, a performance that aspires to Yellow Magic Orchestra, and RESONATOR, a collaboration with Kohta Takahashi to pursue electronic music. Through RESONATOR, Ito received the opportunity to work on several projects. He made his shooter debut with 5pb.’s Bullet Soul, blending orchestral passages with intoxicating beats and guitar riffs, before creating a more mood hybrid score for Atlus’ Devil Survivor 2. In related works, he produced an upbeat remix of the first stage theme of DeathSmiles and a piano-based interpretation of DoDonPachi Dai-Fukkatsu’s boss theme on behalf of Cave’s remix albums. He also recently penned arrangements of Mega Man 2 and Ragnarok Online and, crossing over to doujin circles, as a guest contributor on Frontier Records’ Touhou Baineinyan. In the past year, Ito has been particularly active in a spectrum of roles. He returned to the Culdcept series once again to score its 3DS instalment and stayed faithful to the series’ sound. Having written the theme song for the original game, he was also asked to produce background music for Hyperdimension Neptunia Victory alongside the Earthbound Papas. Also continuing to pen music for lesser-known titles, Ito has scored Shikihime Zoushi for browsers and Blade & Magic for smartphones, as well as the doujin bishoujo game British School Month. The mobile titles Puzzle & Dragons and Demons’ Score also benefited from his guest contributions. Despite this spectrum of roles, Ito recently returned to his roots by creating arranged albums dedicated to the series that first exposed him. He penned a diverse tribute to his Mana works for the anniversary album Re:Birth, before producing an album of electrifying rock arrangements for Re:Birth II -Romancing SaGa Battle Arrange-. The artist also remains active in the animation field, having helped to arrange Ryosuke Nakanishi’s music for High School DxD and Majikoi. Ito intends to focus on artistic aspect of his career over the next few months, with the groups DystopiaGround, Piece of Wonder, RESONATOR, and the ITOKENS.